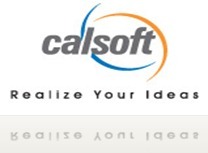 California Software Company Ltd. (Calsoft) is a global solutions company that offers product engineering services and product based business solutions in carefully chosen domains. Our approach is to deliver total solutions to customers leveraging our deep industry, technology and product expertise, along with our strategic global partnerships and alliances. Committed to delivering enduring stakeholder value, Calsoft collaborates with its customers and partners to facilitate them to become high performance businesses. We are specialists in value innovation and are focused on delivering services and solutions that enable organizations to improve effectiveness and reduce costs. Posted in Apply online, Computer Science, Electrical, Electrical & Power, Electrical and Electronics, Electronics and Communication, Electronics and Instrumentation, Electronics and Telecommunication, Freshers, IT, Job After Btech, Without Experience. Tags: Any Specialization, Apply online, B tech, B.E, bangalore, California Software Company Ltd., Calsoft, Computers, December 2009, Electrical, Electronics/Telecomunication, Freshers, job on December 12, 2009 by kavita joshi.